This species has narrow leaves with a minty scent. 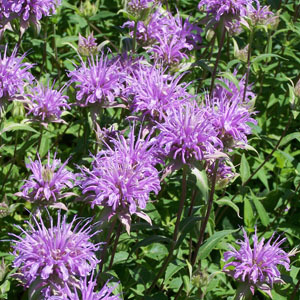 The flowers are pinkish purple and the foliage is resistant to powdery mildew. Produces a large amount of flowers in late summer.